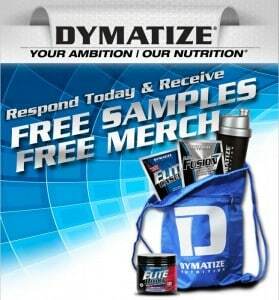 Click here to visit the Dymatize Nutrition and fill out the easy form to request a free sample pack. I’m not sure if it’ll happen again, but last time this came with free samples of their products, a shaker, and their brand new sling bag! Allow 6-8 weeks for delivery. how can i get a sample when u dont have tasmania australia on your state thing ??????????? Take me to the form and I will give you my mailing address. thanks so very much! i appreciate your hard work in gathering all these samples toether to share with us. I got to the form and filled it out. I click submit and it starts processing, but only shows a blank white page. I don’t know if it has went through. ??????? I finally got it to go through. I can’t wait to try it. You can move this to the expired. It’s no longer available.